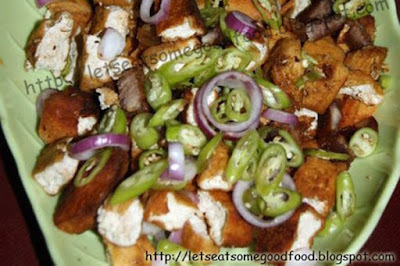 Tokwa’t Baboy Recipe (Tofu and Pork Vinaigrette) – Eats Yummy! Tokwa’t Baboy or Fried Tofu with Pork, is a popular dish in the Philippines as it is very easy to cook. It can be a viand, a side dish, a snack or pulutan. As a side dish, it complements any congee of your choice. It is also a good finger food (pulutan) on any drinking session. 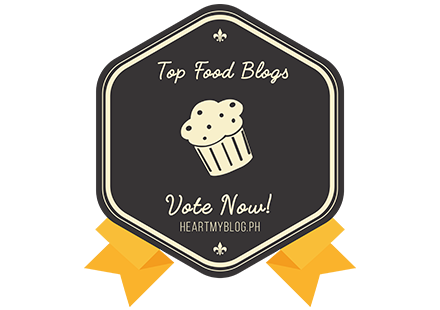 You will usually see this in small eateries in the country as most Filipinos love eating it. Should you want another finger food, you may try cooking Dynamite Sticks as well. One remarkable thing about this dish is that it can be cooked as a stand-alone and you just need to have a vinegar or vinegar-soy sauce dip. With this recipe though, we have the combination of Fried Tofu and Pork to as it is better than having plain fried tofu. Just make sure that your dip is flavorful and this dish will surely be satisfying. Pat the tokwa (tofu) dry if it is moist, then cut into cubes. Heat oil and fry the tokwa (tofu) pieces in batches until they turn brown, about two to three minutes each side. Do not overcook. Remove from heat and drain on paper towels. *Another way is to cut the tokwa (tofu) in halves horizontally and fry for 3-4 minutes. Remove from heat, drain and cut into cubes. In a mixing bowl, mix together onion, vinegar, finger chili, and soy sauce. Taste mixture; if it's too sour, add a little amount of water. Let stand for a few minutes for flavors to blend. Pour the soy sauce/vinegar/chili/onion mixture over the diced meats and tokwa (tofu). Stir to mix. Add pepper if desired. Also, if desired, garnish with spring onions. Serve as a side dish or finger food. Try cooking Tokwa’ Baboy or Fried Tofu with Pork at home and share with us your experience by commenting below. Feel free to check other home cooking recipes that we have. Kindly share this recipe with your friends should you find it helpful.